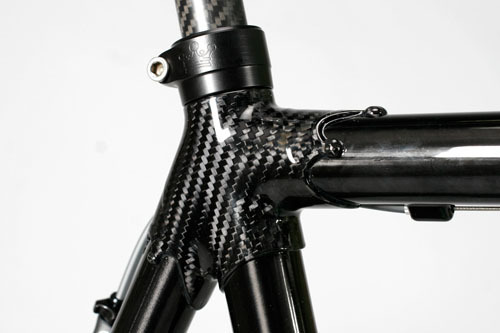 The most beautiful carbon lugs I have ever seen. I feel faint and weak in the knees. Posted on September 16, 2009 by Paul Isabella and filed under Bicycles and tagged Bicycles cycling independent fabrication.